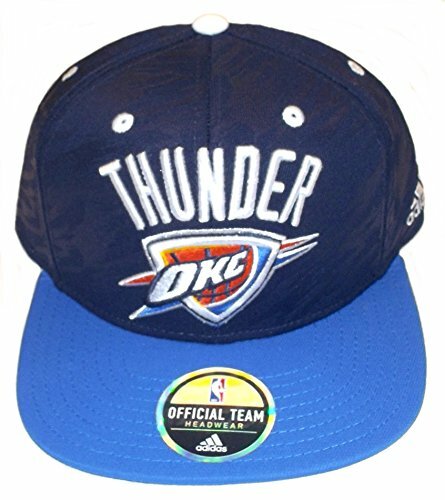 Adidas Official 2013 NBA Draft Cap Oklahoma Thunder!! Help support your favorite team in this Authentic 2013 NBA On Court Snap Back Hat from Adidas. Features embroidered graphics, stylish 2 tone adjustable snap back, impact camo print, and contrasting team colors for added style. Officially licensed by the NBA. View More In Novelty Headwear.